Great & Little Tew saw their unbeaten Home Counties Premier Cricket League run at Ledwell Road ended in Saturday’s heavy defeat. Shahid Yousaf completed an unbeaten century and took six wickets as Slough beat Tew by a massive 165 runs in the division one fixture. Slough elected to bat but Robbie Shurmer made the early breakthrough when he dismissed Feroz Baig before Shaan Khan 37 steadied the ship. Waqas Hussain 34 and Yousaf took the visitors on to 95-3. But it was a partnership of 94 between Lloyd Paternott 76 and Yousaf, who hit 130 runs off 132 balls, including 18 fours and two sixes, which formed the foundation for Slough’s big total. Slough finished on 294-4 as Tew toiled in the field on a hot day with Shurmer working hard for his 2-61. In reply, Tew were soon in trouble at 35-3 before Curtly Slatter and Harry Smith steadied the innings at 61-4. But when Smith 44 departed wicket began to fall at regular intervals. 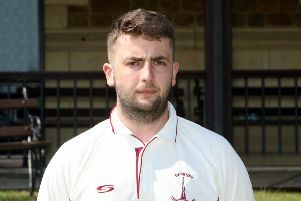 Only captain Andy Harris 20 and Ashley Hubbert 16 could make an impression as Tew were dismissed in the 52nd over as Yousaf took 6-51 to cap an impressive performance.